This is almost urgent. 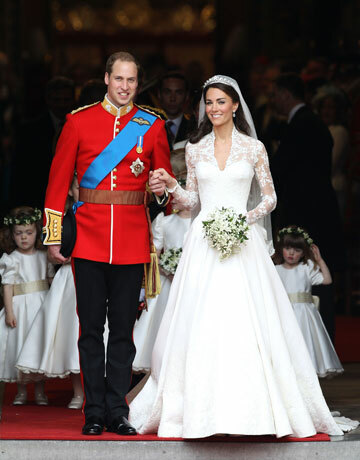 My cheesecake fascination needs to be put on hold while I give you the best of fashion from the royal wedding of Prince William and Kate Middleton. The British fashion was seen at its royal best with the crispest colors and the yummiest shoes and wait for it, the most wonderful pieces of accessories- the hats and the fascinators! :) If you still haven't gotten yourself fascinators this season, then go ahead and buy them in the most luscious of the colors-feathered ruled the roost(no pun intended), or you can try the nets and the rosette detailed ones too. The turquoise burberry with the dash of orange, also reflected in her necklace is the very stylish Samantha Cameron. Princess Victoria of Sweden glows in the peachy ensemble and hat with a twist of pearl accesories. Classy in blue, Lady Frederick Windsor's Philip Treacy hat is such a perfect match for her outfit and I love its understated feel. For me its all about the hats today! Love them! WAIT NO DUCHESS OF CAMBRIDGE? I loved Lady Frederick Windsor's look the most. So so elegant ! I didn`t like what VB was wearing, it was too toga-esque! some of the hats are simply too ridiculous for my taste! The shoes were a treat though! Wow Prince William looks OLD! My favorite of the lot is Posh...so nice to see her in something that's not body-con! Philip Treacy is a millinery GOD! 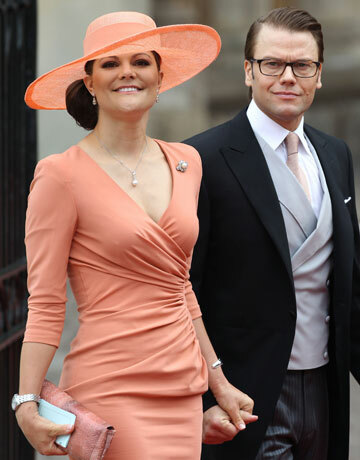 Posh looked posh as always but my fave is Lady Frederick Windsor's ensemble...just love her hat! Sigh! Nothing like a perfect royal wedding!!! Beckhams are looking lovely!!! and Lady Frederick Windsor's hat is probably the show stealer....I loved it!! !